Memory cards readers are increasingly being used to transfer data directly from various devices. You can connect them to your PC or laptop and transfer to view files through it. 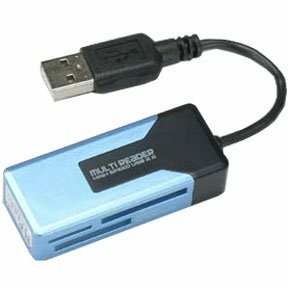 We have a wide range of USB products including memory card readers. You can find USB 2.0 card reader 2.0, All-in-one portable USB 2.0 card reader -9 memory cards, and other products. All products at SF Cable are manufactured by ISO 9001-2000 registered manufacturers and RoHS compliant as well. You get the products at very competitive prices and are eligible for lifetime technical support for all our products.